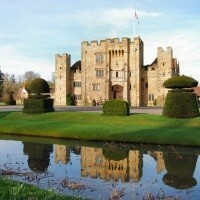 Enjoy a short break at Easter to discover the secrets of Hever Castle. Enjoy a short break over the Easter weekend and discover the childhood home of Anne Boleyn, and an unlikely backdrop to a sequence of tumultuous events that changed the course of Britains history, monarchy and religion. Following departure from a local pick up point across East Anglia, travel to Rochester before heading to the Tudor Park Marriott Hotel & Country Club in Maidstone for the two night stay with dinner, bed and breakfast. Enjoy a mini bottle of Prosecco and chocolates on the coach. After a leisurely breakfast, travel to Tenterden for a return journey to Bodiam on the Kent & East Sussex Railway. Enjoy and afternoon at leisure to enjoy the hotel's facilities. 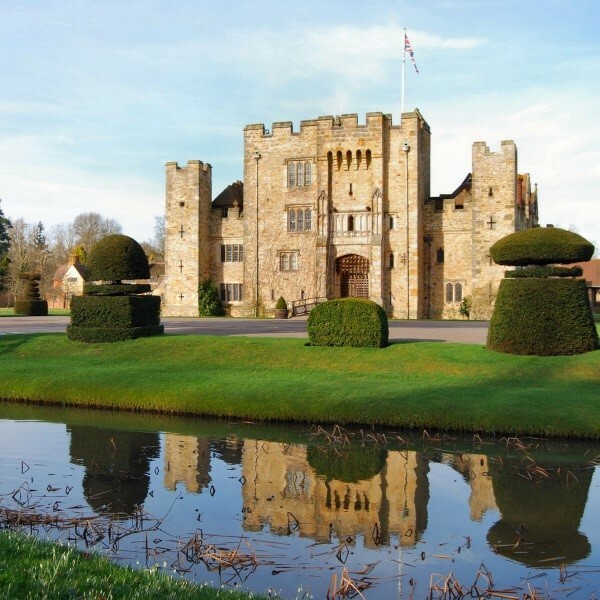 After the final breakfast, travel to Hever Castle, childhood home of Anne Boleyn, to experience 700 years of history at the romantic double-moated castle. Later, journey back to the local drop off points across East Anglia. Enjoy a wide range of amenities and spectacular grounds at the Tudor Park Hotel, all set within acres of immaculate parkland in the heart of Maidstone.